We have just discovered Cable & Cotton lighting and we have fallen head over heels! Being a creative duo, we’re constantly on the hunt to bring fun things into our home and Vivid HQ as we take a lot of inspiration from our surroundings. We’ve recently started experimenting with the wonderful world of lighting as we were feeling that things were getting a little bit flat (it is winter after all!). 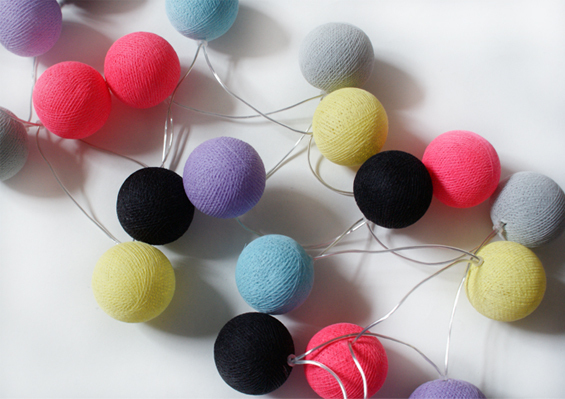 When we stumbled across Cable & Cotton online we fell in love; what more could you want than some beautiful coloured balls of light in your life? Customised colours, thats what! On the site you can choose from their ready made sets of lights, and they truly have some excellent pre-made boxes (our faves: Mexican and Easter), but being the creative bunch that we are, there is nothing more satisfying than putting your own twist on things! It’s not often you find a site that’s super easy to use, especially when any kind of variant option is available. It’s this feature that’s made us really happy as it works like a dream, and made it totally worth sharing with you! The process is so simple; you visit the ‘pick your own’ page and start by selecting how many lights you want on your cable. We chose 20; like us it’s short but sweet 😉 Then all you need to do is click on the colours you want to add to your string! Whilst picking every single colour available is massively tempting, it’s best to create a pallet that you know will fit into your home. We suggest you pick 5-7 colours that really compliment each other. For instance, you could pick out your favorite colours in the room you plan to hang them in, or if you’re looking for a change, take the colours from your favorite picture or item of clothing. 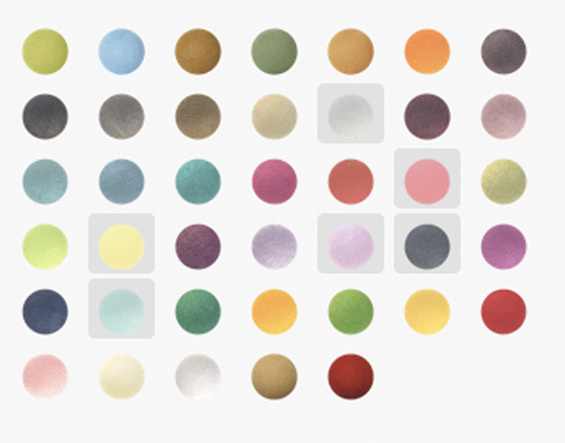 This will help you work out what you’re looking for as it’s always easier working with a visual. So, on the site, click on the coloured balls in the pallet to add each one you want onto the string. 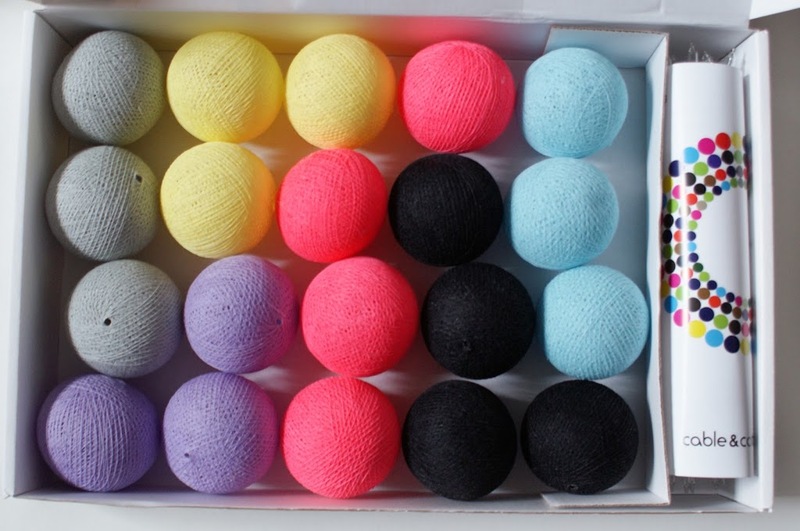 Don’t worry about the layout of the balls on the string as you’ll receive them all separately, meaning you can set them up how you want to when they arrive… or mix it all up whenever you feel like it! If you want to see them mixed up, you can hit the ‘mix’ icon at the top of the box to switch everything around. Pretty handy if you ask me! For our set of lights, I chose colours that I’m currently working with in the studio as they really pop! You might think adding hot pink and black to a set of pastel colours a little bit crazy, but the boldness of these tones really help bring the others out. We’re pretty into funfairs and think this is spot on! 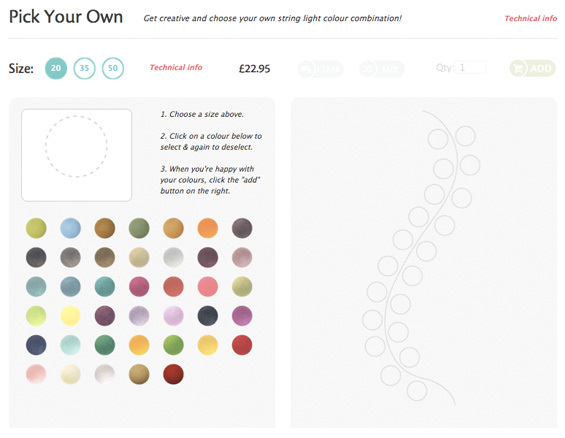 When you’re happy with how it all looks, ‘add to cart’ and you can tweak the quantities of each colour if you want. For instance, we wanted more of the black and flash pink lights than anything else, so we amended that here. Brilliant! Don’t they just look amazing? 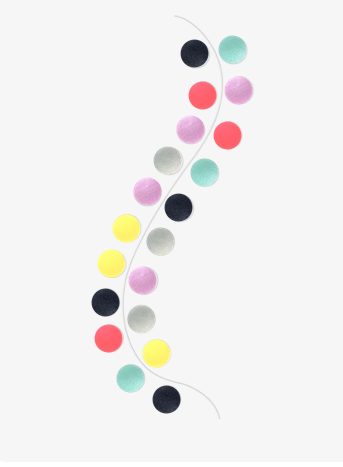 The next step is to decide on the right layout and pop each ball on by lightly pushing each light into the small hole. Simple! Have a play around with the order of each light. If you chance your mind later on they’re really easy to take off and switch around too. The lights are on a looped cable so you could hang them in a big circle or have them all bunched up or, if your more orderly about things like us, you’ll want them lined up… and hung like bunting! We hope you enjoyed the little peek into our studio and enjoy playing around on Cable & Cotton’s site! How festive these lights are!!! Totally crushing, too! 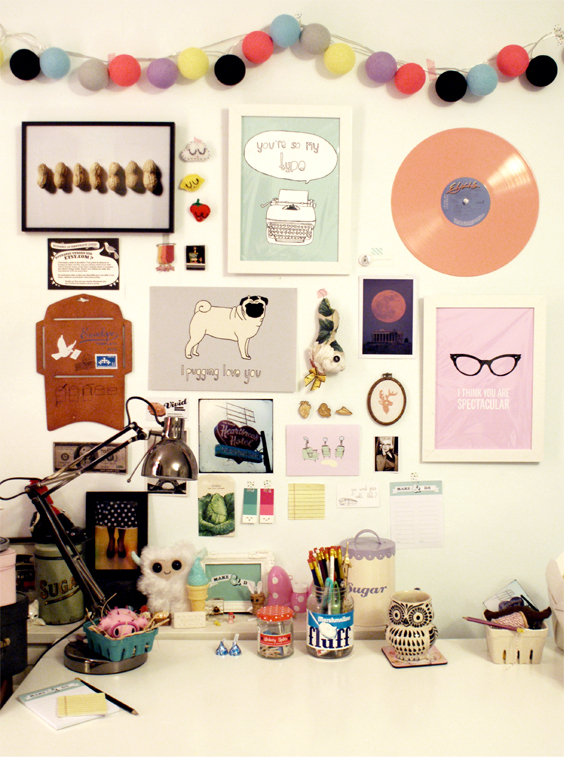 Great addition to your wall of style, lol. Very cool! Thanks for sharing, these definitely beat any Christmas lights that people hang up in their rooms through out the year. I definitely want to check this site out! OMG. What a great idea! A tree just with these lights would look stunning even – you wouldn’t need any baubles as they’re so big and pretty already :B Plus you can customise them to match any Christmas theme you fancy! Great idea Peko! Thanks for sharing it 😀 Happy shopping!